The links on the left will take you to descriptions of specific research topics of present and past interest in the group. Our group tries to understand the physics in both driven and "correlated" systems, through experiments and their analysis. 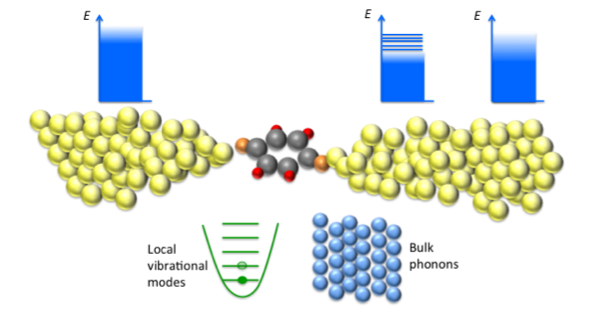 We are particularly interested in trying to get information at the nanoscale in nanoscale structures driven out of equilibrium, and in materials where strong electron-electron interactions determine material properties. Imagine taking some nanoscale structure and somehow hooking it up to a battery via a couple of wires. As the voltage across the nanosystem is increased, many things can happen. An electric field develops across the structure, and charge rearranges itself in response to that field. When there is conduction, electrons are driven from one side of the nanosystem to the other, pushing the distribution of electrons (as a function of both position and energy) out of equilbrium. Those electrons interact with each other, and energy can pass between them; the electrons can also deposit energy into the vibrational motion of the atoms, driving those degrees of freedom out of equilibrium. The electrons can interfere quantum mechanically, though their coherence (and therefore the importance of quantum interference) degrades as they interact with their environment. The spins of the electrons can become entangled with each other. All of this takes place on very short time and distance scales, and somehow leads to the macroscopic world we see all around us. Sometimes electron-electron interactions play only a minor role in determining material properties (as in aluminum or silicon); in other material systems, however, the electron-electron repulsion can be critically important. Such materials are "correlated", and are sources of rich, complicated, potentially useful physics. 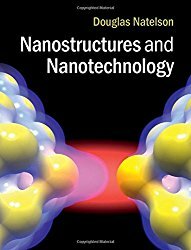 In addition to learning a lot of neat physics, people in this research group develop skills in micro- and nanofabrication, sensitive electrical measurements, various microscopy techniques, semiconductor physics, low temperature physics, and vacuum systems. Graduate students or interested undergraduates are encouraged to send email (natelson@rice.edu).